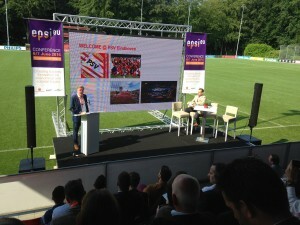 On behalf of the European Platform for Sports Innovation (EPSI), Sport & Technology, Flanders’ Bike Valley, Enterprise Europe Network (EEN), the City Council of Eindhoven, SportInnovator, the province of Brabant (NL), the Province of Limburg (B) and the European projects EASY-IMP and EU4Sports Cluster Alliance, we thank all of the participants and speakers for their excellent contribution. 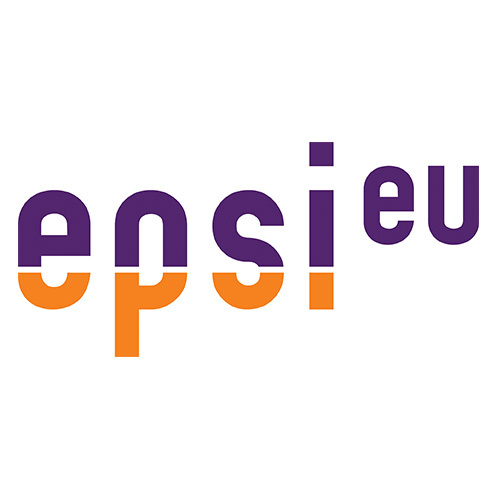 We hope to see you next year for the 6th EPSI conference. The 2-day event explored innovation opportunities and challenges within the sports industry, exchanging knowledge, crossing borders, learning best practices and discovering key insights. 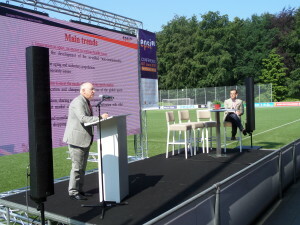 The first day took place at Cluster Sports&Technology in Eindhoven (The Netherlands), on the second day was organized at Flanders’ Bike Valley in Paal-Beringen (Belgium). During both days inspiriting site visits to Sport Field Labs and research facilities were included in the program. 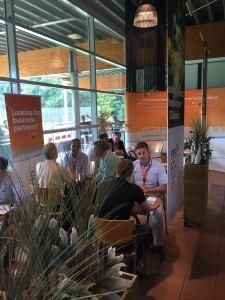 The program provided an excellent environment for matchmaking during the international sports matchmaking event, SportTechMatch, co-organized with the Enterprise Europe Network (EEN). The event was supported by the Dutch Government, as part of Dutch EU Presidency in 2016. The inspiring program and presentations around “Crossing borders” in combination with a motivated professional audience created the right atmosphere for discussing innovation chances and for creating new cooperations. 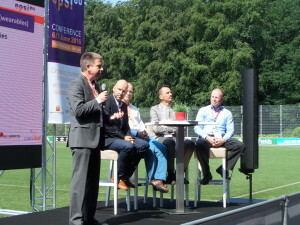 The program includes sessions with speeches from interesting guest speakers, as well a sessions and deepening discussions in topics of your choice supported in the SportTechMatch. The conference will be an excellent environment for matchmaking during the international sports matchmaking event, SportTechMatch, organized in cooperation with Enterprise Europe Network (EEN). At SportTechMatch entrepreneurs, researchers, technologists and representatives from sports organisations and clusters will be offered a chance to meet potential foreign partners active in the field of sports related technologies. In pre-arranged face-to-face meetings they will have a chance to establish profitable new cooperation opportunities in business, technology transfer and research & development. Participants will have the opportunity to publish cooperation profiles on this website and to send and receive cooperation requests. On the basis of accepted requests b2b meetings will be scheduled which will take place on June 6th in Eindhoven (the Netherlands) and on June 7th 2016 at Flanders’ Bike Valley in Paal-Beringen (Belgium). On June 6th a selection of the SportFieldLabs of the cluster Sports&Technology will be visited. These visits will provide you inspiration with state of the art technology and innovation in several SportFieldLab locations. Demonstrations of state of the art innovations will be given by entrepreneurs as part of the visits. On June 7th the facilities of Flanders Bike Valley will be visited among which the state of the art wind tunnel that has recently been opened. The 2 day event will explore innovation opportunities and challenges within the sports industry, exchange knowledge, crossing borders, learn best practices and discover key insights. The first day will take place in Eindhoven (The Netherlands), on the second day we will visit Flanders’ Bike Valley in Paal-Beringen (Belgium). The event is supported by the Dutch Government, as part of Dutch EU Presidency in 2016. The program includes plenary sessions with speeches from interesting guest speakers, as well a sessions and deepening discussions on topics of your own choice. The event will be an excellent environment for matchmaking during the international sports matchmaking event, SportTechMatch, co-organized with the Enterprise Europe Network (EEN). During both days inspiration site visits to Sport Field Labs and research facilities are included in the program. The conference is the meeting place for innovative companies, knowledge organizations, sport innovators, sport innovation labs, governmental partners and clusters members, etc. in an international sport innovation setting. We look forward to see you in Eindhoven and Beringen.